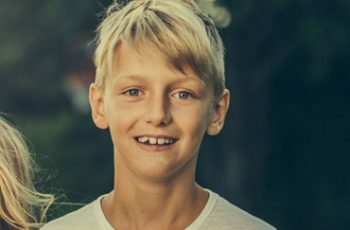 While each male five-year-old is truly a unique individual blessed with their own unique talents and skills, they usually share some common characteristics. Boys at this age are often very analytical when they ask questions, and they seem to be filled with logical ones every moment of the day. They love to tear things apart to discover how they operate. Their storytelling ability has become much stronger, especially when it comes to telling their personal narratives. They are beginning to be able to identify shapes and to use simple mathematical concepts like greater than and less than in sentences. Five-year-old boys have become better at negotiating, and they are starting to use skills such as isolating themselves from people or objects that frustrate them. You may also discover that you have a budding musician or artist on your hands. Here are some toys that five-year-old boys might enjoy. Encourage the five-year-old to become an explorer with Back to Nature’s Exploration Set. 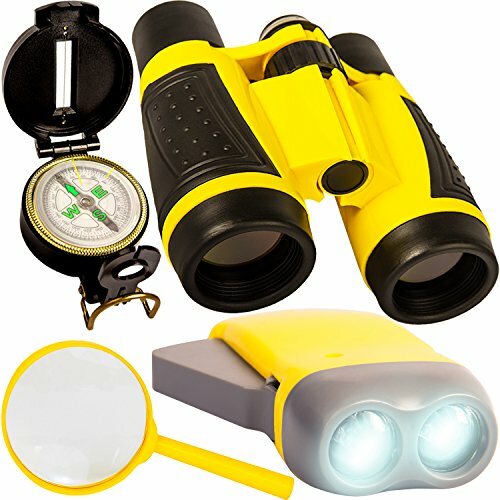 This set of four toys includes a 4 X 30 binoculars that are perfect for exploring the outdoors including studying birds, insects and animals. It also includes a liquid-filled compass that easily attaches to a belt loop so that every boy knows where they are roaming even if it is just across the backyard. Furthermore, it includes a hand-cranked flashlight that is quintessential for scaring monsters out from under the bed or reading their favorite picture book under the covers late at night. Finally, it includes an X4 magnification glass so that the young man can study bugs, flowers and other objects up close allowing them to form even more questions about the world around them. 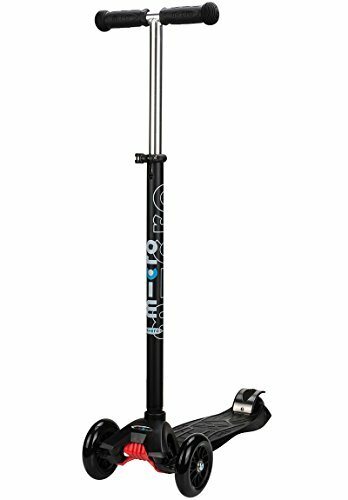 High-quality polyurethane wheels and a flexible fiberglass-reinforced deck make the Micro Maxi Deluxe Kick Scooter the tailor-made toy for five-year-old boys. Boys at this age are rapidly developing large muscle skills, and this will help develop them even more. 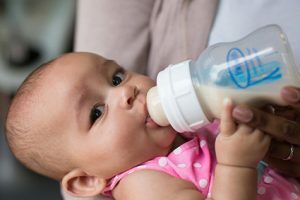 The child will love this additional form of exercise encouraging them to go outside and play instead of being on their gadgets or watching mind-numbing hours of television. Learning to make smooth corners on the scooter is a great way to prepare them to ride a dirt bike later as they develop even more muscle control. They will feel accomplished as they pretend to race to fires, escape from bad guys and many more adventures that only young minds can conceive. Everyone in the family will enjoy playing John Adams Soggy Dog, but no one will enjoy it more than the five-year-old boy. As they try to win the game, they will be learning many life skills that they will use the rest of their lives. 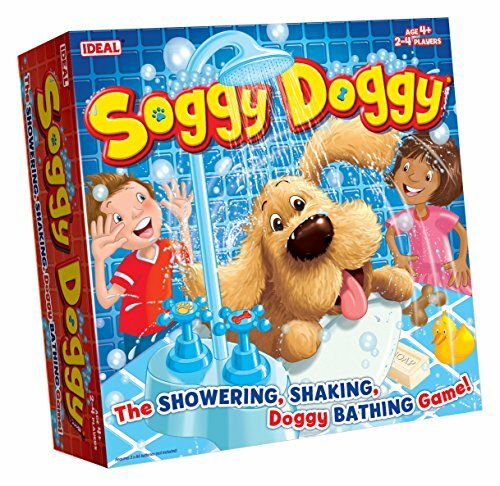 They will feel a sense of mastery when they beat older members of the family in this game about washing and grooming a soggy dog named John Adams. They will also experience the devastation of having to start over when the soggy dog decides to shake, and they have to go back to the beginning. While they will learn the rules of playing fairly with others and the ability to take turns, they will also learn the ability to laugh at themselves while having a great time with their loved ones. 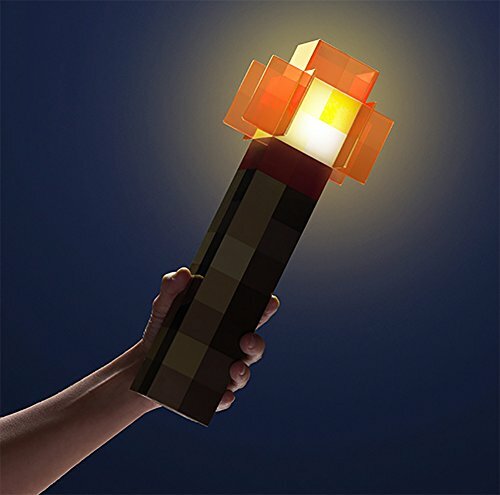 Make your child feel like they are part of the Minecraft action even if they are not quite ready to play the game yet with the ThinkGeek Minecraft Redstone Light-up Wall Torch Toy that looks like it came straight out of the game that their older siblings play. This light-up toy weighing just a pound helps five-year-old boys build their creativity while allowing them to see things around them when other lights are off. 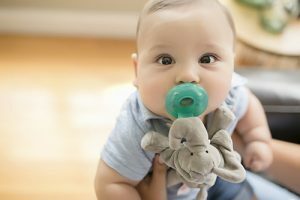 The child can easily carry this toy around as they go on grand adventures or it can be hung on the wall where they can easily flip it on at night. Your child may even choose to carry this realistic-looking torch toy outside at night as they may find the beam given off very reassuring. 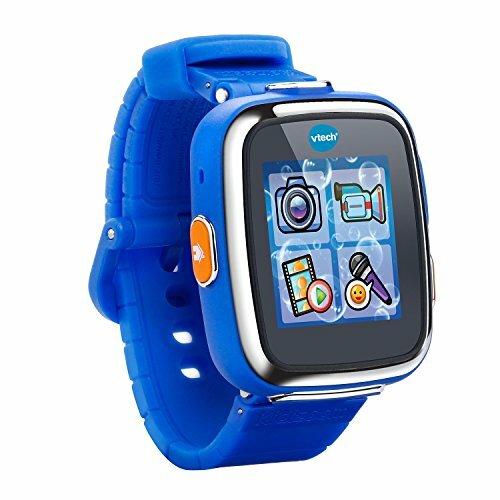 The five-year-old boy will feel so grown up when they have a VTech Kidizoom Smartwatch DX, and they will have so much fun doing the five games, three fun activities and three action challenges that they will not even realize that they are learning. You may even create a budding photographer as this smartwatch has the ability to function as a camera allowing them to capture fun images and videos while teaching them to pay attention to details around them. 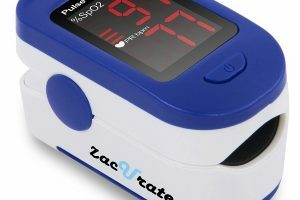 In addition, they will have hours of fun playing with the voice-changing recorder on this sweatproof smartwatch. Over 50 clock-face designs encourage creativity as the boy decides which one he wants for the next 10 minutes or so. Make your five-year-old boy the star of his own superhero show with the RioRand Cartoon Dress Up Costumes that are complete with felt masks. 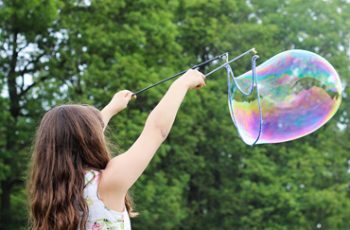 It is easy to foster your child’s imagination, and they will make connections that you and older children would never make. The dress-up play also allows five-year-old boys to explore different roles, and they can find the connections that resonate best with them. This can even lead to job exploration as they discover what things are important to them. Furthermore, dressing up as their favorite superhero helps build vocabulary. With four different capes and masks, they can even invite other children to play along learning to work well with others. Your five-year-old boy will be thrilled to own a Toyk Kids Toys with LED lights. This ball floats across inside and outside surfaces like an air hockey puck. Yet, its black sides perfectly protect your furniture and siding. Boys will receive the benefit of running, jumping and skipping with this ball. 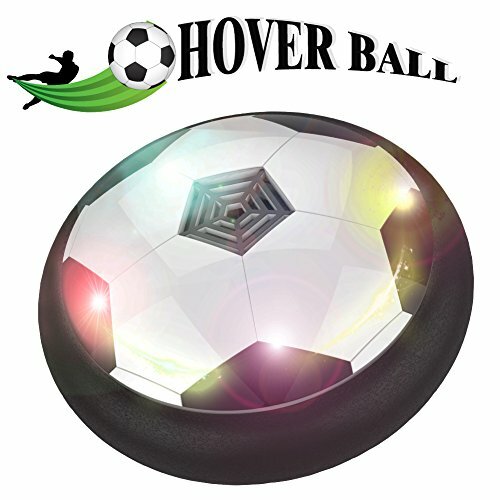 They can also kick it just like a real soccer ball, but it will not hurt their tender feet making it a great toy for building eye-hand coordination. The LED lights are fun to watch, especially at night. This 85-piece set is an outstanding toy to build the creative skills of a five-year-old boy. Children can put it together in so many different ways while learning basic design concepts. 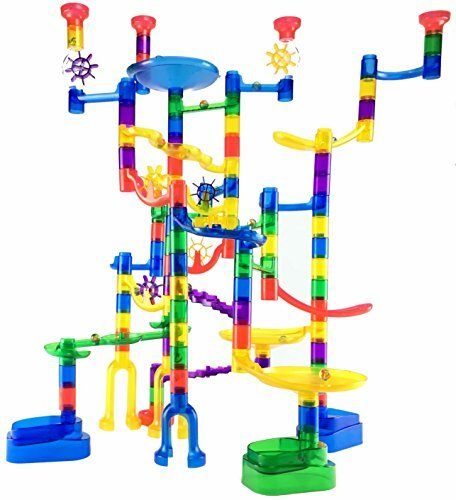 They can use this set to build structures up to 46 inches tall or combine it with other marble run sets. When you play with them, it is easy to use this toy to help build vocabulary because of the bright colors and the action of the marbles. They will also be building their fine-muscle skills as they fit the pieces together. Translucent pieces make it easy to track the marbles from the top to the bottom, which can be an important skill to master before learning to read. Your five-year-old boy will enjoy off-roading as they take a seat in the Power Wheels Wild Thing Ride On. Boys will love making this toy go up to five miles an hour as they pretend to race to their latest adventure. Parental controls allow you to slow down the speed for beginners taking their first spins. They will also thrill as they use the dual controls to do 360-degree spins. 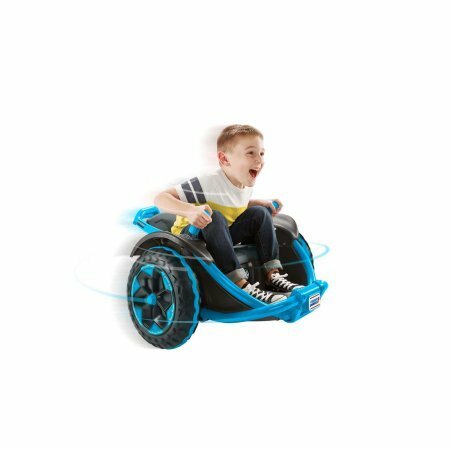 Parents can relax because a third hidden wheel in the back helps keep this ride-on toy stable regardless of the conditions. Get thrills from watching your child go on an adrenaline-filled adventure as you hear their vocabulary grow. 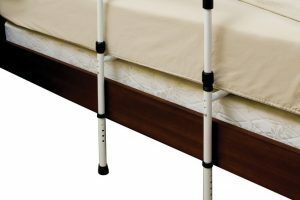 An exposed-metal frame ensures that this toy can stand up to the rough and tumble play of any little boy. 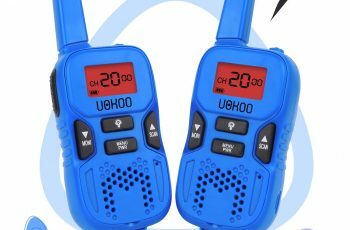 Every little five-year-old boy needs some quiet toys, and the IT Challenge Set by GamieUSA is the perfect answer. They will need to use their reasoning skills and mental stamina to solve the seven puzzles in this set, but they will feel so proud when they work out the solution to each one. 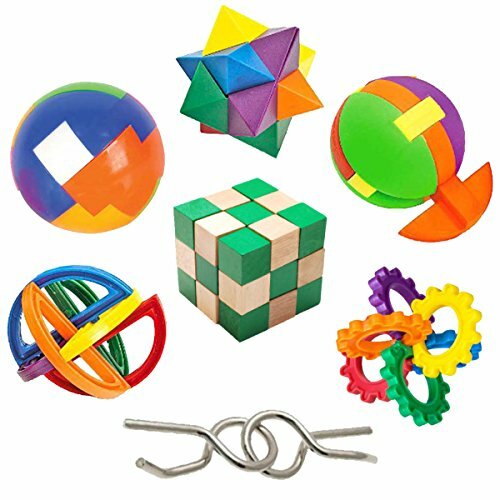 You are likely to feel proud right alongside of them when they solve the 3-inch IQ Puzzle Ball or the four unique 2.5-inch Plastic Puzzle Balls. While the solution is simple, the Metal Puzzle; and the 2-inch Wooden Cube Puzzle may even leave you searching for the answers, which are emailed to the parent. Help your child learn to persevere and use their deductive reasoning skills so that they do better in their school work when it is time for a formal education. 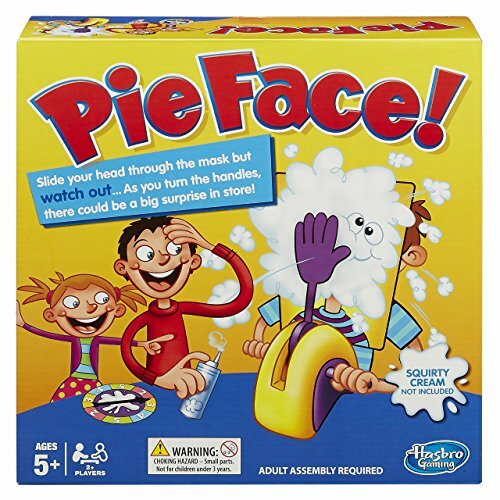 Boys will hoot with delight when they play Hasbro’s Pie Face game, and when you see how much fun they are having you will want to join in right alongside them. This game uses whip cream. Start by turning the handle the set number of cranks, and insert your face into the chin rest to see if you get hit in the face with the whipped cream. 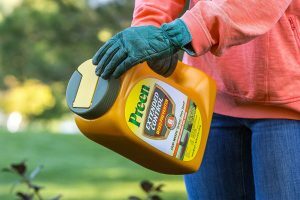 While this game can be a little messy, clean up is easy because you can just wipe up any mess in the game. If you are looking for a wonderful way to restore peace and laughter to your home, then this may be the perfect answer. Additionally, it can be a great way to encourage a five-year-old boy to take a bath as they wash the whipped cream off their faces and out of their hair. The winner is the one with the highest number of cranks without getting hit with a pie or the last one playing who has not got hit with a pie.